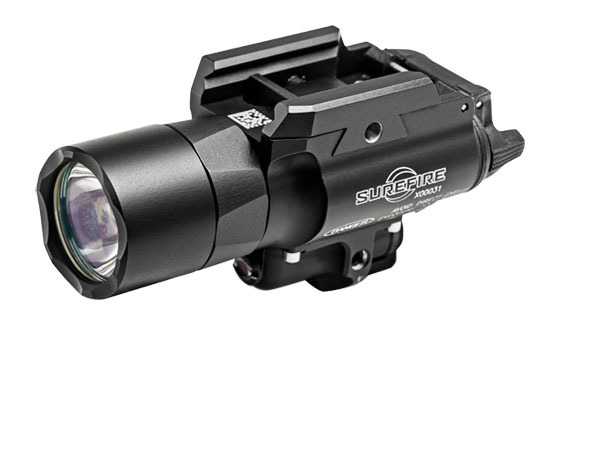 The Surefire X400 Ultra Weaponlight combines 500 lumens of LED light with red laser aiming capabilities in a compact, rail mountable package. The high intensity 500 lumen light is focused by a total internal reflection lens to produce a tight beam with extended range and significant surround light for peripheral vision. An ambidextrous rocker control provides one finger activation of the X400 in either momentary or continuous mode. 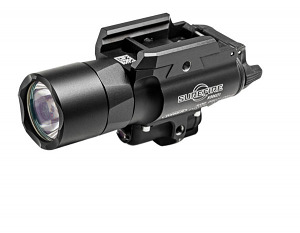 A rear switch allows you to activate the light and laser individually or coupled together. Mounts easily to any handgun or long gun picatinny rail system. Battery life of 1.5hrs.